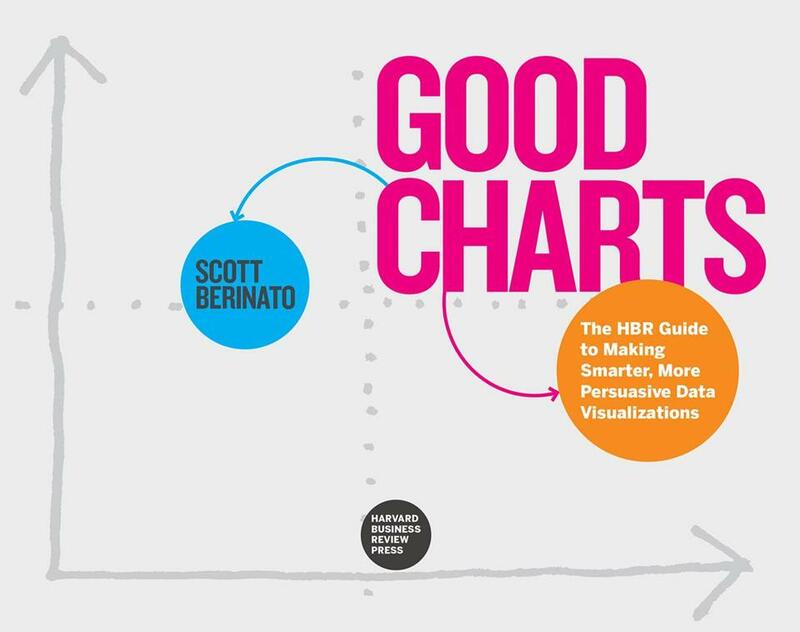 "Good Charts" by Scott Berinato. Pity the Excel spreadsheet. It can’t compete with the appeal of a well-designed chart. That’s where a new guide comes in: “Good Charts: The HBR Guide to Making Smarter, More Persuasive Data Visualizations” (Harvard Business Review). Author Scott Berinato, a senior editor at HBR and a self-described “dataviz geek,” knows well that businesspeople are short on time. Of particular note is the chapter “Better Charts in a Couple of Hours.” Everyone knows that data can be presented in different ways for different purposes and in a chapter called “Persuasion or Manipulation?” Berinato addresses that, too.